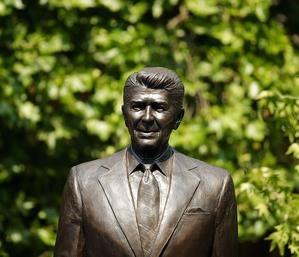 Kevin McCarthy at the unveiling of the new statue of Former US President Ronald Reagan in Grosvenor Square, London this week. I haven’t got much to say about this – partly because I think the quote speaks for itself, and partly because I’m tired and not really thinking very coherently. Apologies for the lack of activity on this blog recently. I’m changing jobs and the transition seems to have left me devoid of both words and time to write (and possibly thoughts, too, but I’m hoping they’ll return soon…!). What could be achieved in the world if you genuinely didn’t care whether you or someone else got the credit?